Best Char Siew in Ipoh. Period. Succulent. Caramelized. Crispy edges. Roasted sides. Melt in mouth. Do I get my points across now? Read that tweet earlier this morning, and that was like a jolt to the senses. Much like how it was raining dogs and cats in the middle of last night, complete with eruption of thunders and flashes of lightning. Not a very productive slumber, and I don’t foresee this rainy spell in KL to end soon …..
Back to the case at hand. I do think that I have been straying off the beaten path; progressively as time goes by since moving to PJ four months ago. Felt like ages, huh? But I understand that I have been distancing myself from this blog, the readers (especially from Ipoh/Perak) and time allocated for surfing, reading blogs and social networking have become more of a luxury now, compared to the previous times when these were merely pastimes. 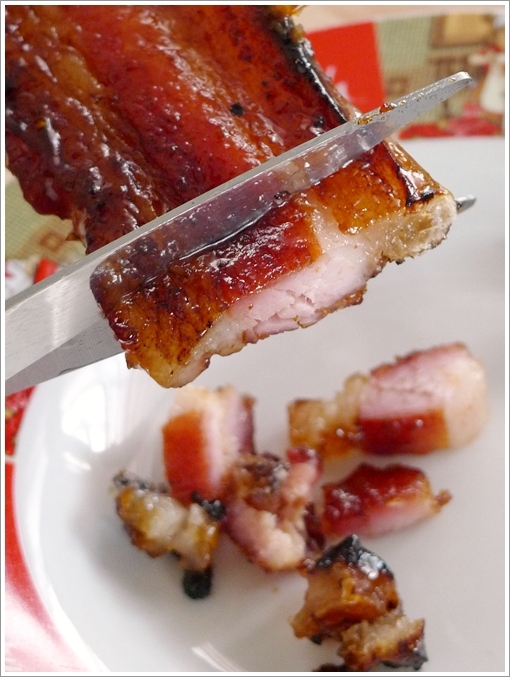 If you could lay your hands on a whole slab of caramelized barbecued pork belly (Char Siew), would you have done so? Usually, we pre-order the roasted meats (chicken, char siew and siew cheong; aka mixed offal sausages) during festivities. For sure we would be walloping bowls of rice thereafter. Let’s say if this particular stall comes to KL. And compete against the likes of Meng Kee, Famous Seremban Favourites, etc etc (sorry, haven’t tried Toast & Roast or 747), then I am sure they can hold their ground and create waves of gastronomical proportions. No joke, especially when Bercham Cheong Kee (pronounced as “Seong Kee” in Cantonese) does not only roast almost perfect Char Siew, but a mean Siew Cheong (those pork sausages with innards), and a commendable roast chicken too. Talk about deadly combo? That’s how Mum saves time and cut the Char Siew into bite-sized pieces. This slab looks rather lean, but in reality, the pork was tender, moist and perfectly balanced between lean meat and melt-in-mouth layers of fat. You don’t even need the accompanying sauce, actually. Look at that Happy Face. Or wait, I hope he did not have cruel intentions in mind … chopping a sausage with a sly smirk?! Did I go overboard? Nah …. after repeated failed attempts at seeking for a Char Siew that’s comparable to some of the better ones in KL (sorry, can’t find a decent one in Penang … in spite of my love for Penang’s street food), Cheong Kee managed to impress again and again. That does not mean that this is the end-all, be-all King of Char Siew in Ipoh. For I am sure there will be feedback from you guys. I expect even some fireworks; from fans and detractors alike. Since I have experienced below-par Char Siew from Cheong Kee on busier days. But on the whole, if you wanna know where to satisfy your cravings for dark, caramelized, succulent and skilfully roasted pork, then you can’t go wrong with Cheong Kee. There …. you don’t even notice the crowd, nor whatever they’re selling here. But come during peak hours (lunch only, by the way), or during festivities, then you will bear witness to their immense popularity. Indeed, this is one of the best in Ipoh, since I don’t like lean char siew with a reddish border. Don’t. Come back to life jor. really?? that good?? !!!! mouth watering already! Hey, actually I prefer their siew cheong more than the char siew. As not many places in Ipoh, or KL for that matter, serve them. 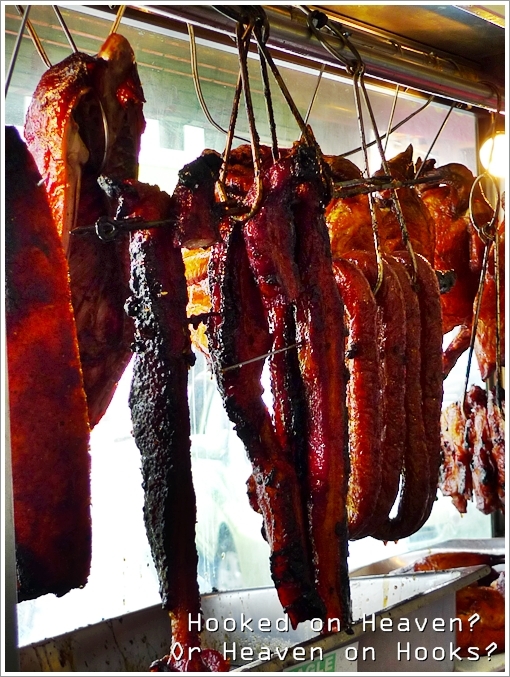 Oooo… I’m addicted to char siew!!! bercham ah.. quite far away from my place in ipoh..
now im even further that im in PJ.. lol.. I am in PJ also lah. But I still can go back periodically and eat the best of Ipoh street food. Mmmm, I sure love a good char siew! Yes.. I am going to visit this stall this weekends..
Had try one stall at KL before and the taste was the same description u have mention for this Ipoh stall..
KL a lot in fact. I am going to try that famous Toast & Roast soon, but somehow can’t find the time to do so. 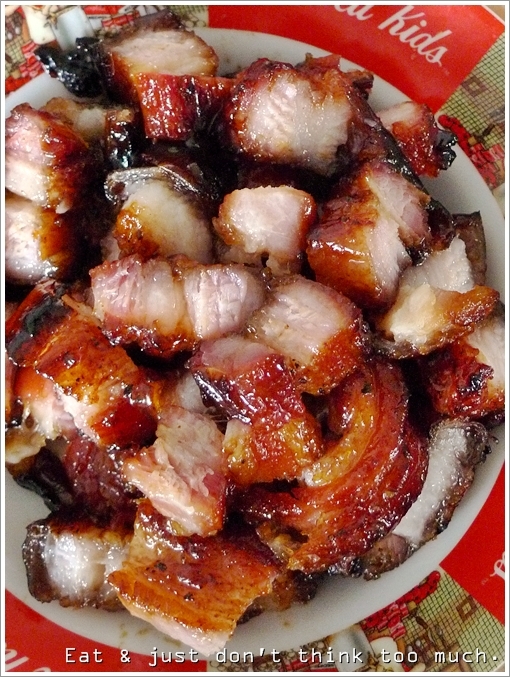 I think oversea restaurant char siew is the best in Ipoh…authentic. Not bad indeed. But slightly pricier than this of course. Shah Alam? Any idea the name of the shop? I once tried to find that famous sakura pork in Glenmarie. Then could not. Spring Golden or something. Can’t blame you Jeff. Me neither. I only knew about this when Mum kept buying from this same stall during festivities. Roast chicken, char siew and siew cheong. Very good indeed but do you know my best experience of fantastic char siew is (I mean “was” for it was quite a while back)? In Pudu Market KL they sell strips of char siew in a big flat tray with lots of gravy. They cut the strips to your request and weigh them and you can ask for as much gravy (well, not all of course) as you want! I really miss those. But I am going to try this Cheong Kee soon. Oh in Pudu market?! Damn, I don’t even know where this is! Though I am quite happy with some of the places in KL for char siew. Mostly the dark, caramelized cuts with fatty bits proportional to the leaner parts. That’s exactly what they have back then (it probably is still there) dark deep caramelized strips of right proportioned fat/lean char siew. Pudu Market is easy to find. I think its behind the Stanchart Bank on Jalan Pasar. hmm….there is another shop in bercham, selling char siew as well. you can try in out. 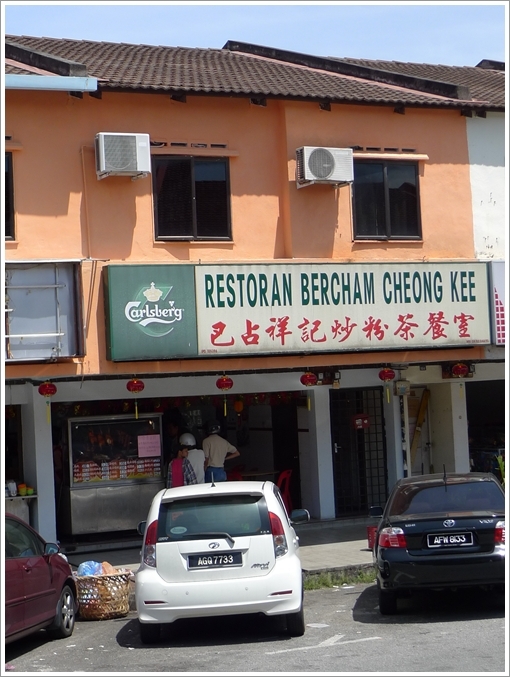 the shop name Restoran Chong Sai Kei. it’s just same row with Restoran Cheong Kee. Oh thanks Pinky. Nice name, that will surely sticks to memories. lunch ar? paling early what time start? 10.30am got liao boi? Eh … not sure lah. But I think after 11am safest. hi. which are the MUST EAT PLACES IN IPOH… heard that they are famous for their dim sums… can you recommend me some malay food too? thx a million! Thanks kong. Yeah, the char siew’s definitely worth checking out. Uh oh… that bad? 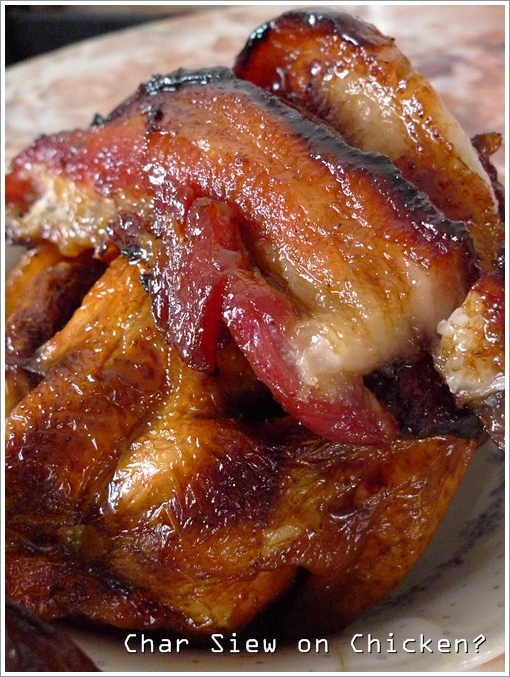 I have never sat there and dine in, but usually when we bought home the char siew (usually the better cuts, and the whole slab for prayers) the char siew turned out fine and caramelized to a beautiful extent. Thank you for a second opinion, Max ? always drive pass this shop whenever back in Bercham but never know there is a hidden treasure inside there!! !